Don’t look now but AUD/CAD seems to be making a break for it! 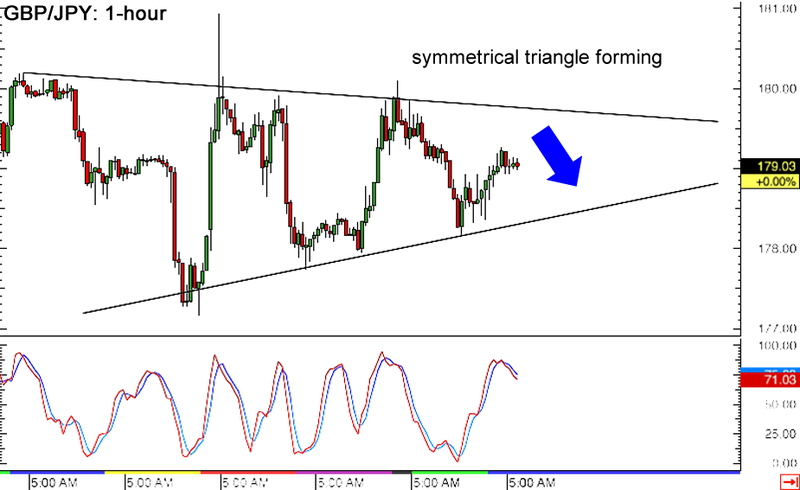 The pair just surged past the symmetrical triangle resistance on its 4-hour forex chart, indicating that it’s ready to go for more gains. Take note that the chart pattern is roughly 500 pips in height, which means that the resulting rally could be of the same size. Stochastic is still moving up so there’s enough bullish momentum left, but the indicator is already approaching the overbought level. If sellers take over, a pullback to the triangle resistance near the .9800 handle might take place before AUD/CAD resumes its climb. 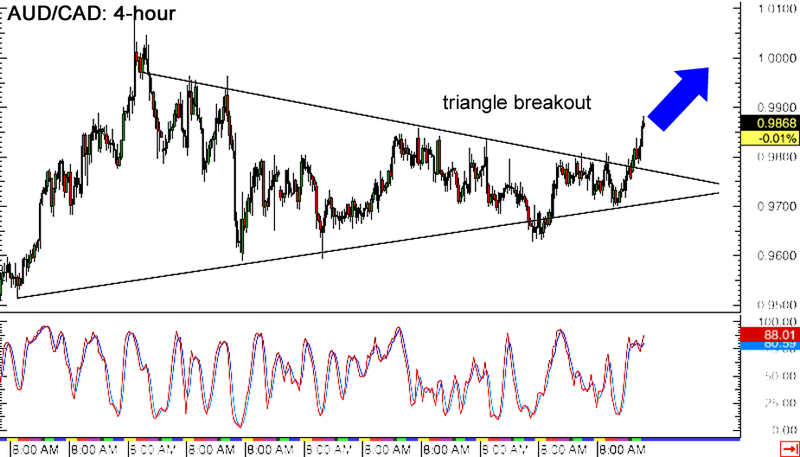 Here’s a potential triangle breakout that’s just waiting to happen. 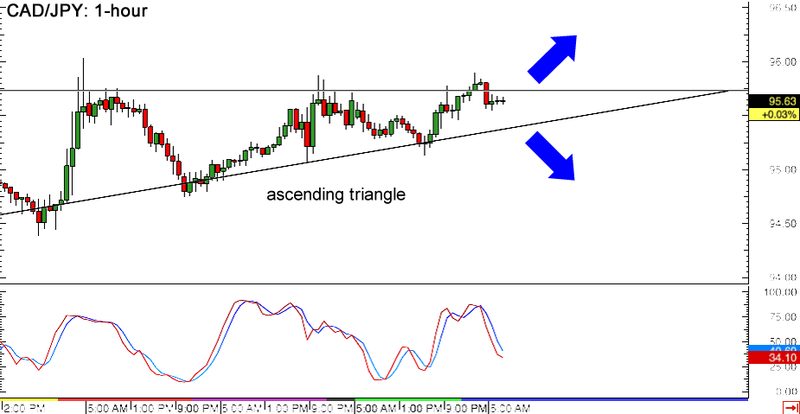 CAD/JPY has been forming higher lows and finding resistance below the 96.00 mark, creating an ascending triangle formation on its 1-hour forex chart. The pattern is approximately 150 pips tall, which suggests that a breakout in either direction might be of the same height. Stochastic is on its way down, which means that Loonie bears are in control of price action and might push for another test of the triangle support. If sellers are strong enough, we just might see a downside break! Last but definitely not least is this symmetrical triangle chart pattern that’s just forming on GBP/JPY’s 1-hour forex time frame. After bouncing off the triangle support near the 178.00 major psychological level, the pair seems to be on its way to test the resistance around the 179.50 minor psychological level. However, stochastic is already indicating overbought conditions, which means that pound bulls need to take a break. If the bears take over, the pair might test support at the bottom of the triangle once more or even push for a breakdown.